Enhance brand awareness and recognition across the city . Oversized moving billboard with high impact. 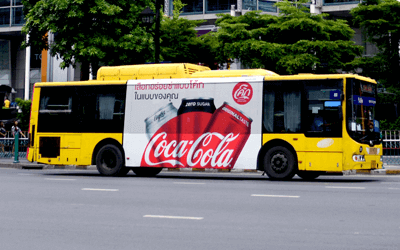 Increase reach and effectiveness with more buses and frequency throughout Bangkok. Best value for money with more bus coverage. Create long lasting impression with 2d or 3d presentation technique. Keep your brand standing out in the night time. Eye-catching reflective films to captivate commuters’ attention at night. High visibility at the best positions in captive environment. The impact of advertising across 19 mrt trains and 18 mrt stations. High dwell, high frequency and highly visible to mrt passenger journeys made everyday. Capturing audiences on-the-go. Massive impact with all synchronized 112 digital screens covering 18 MRT stations. 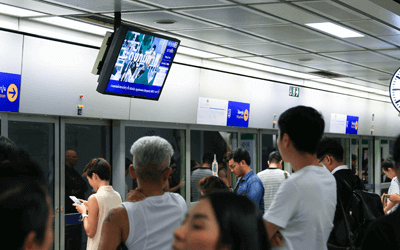 Connecting with an audience in captive environment with 494 digital screens covering all areas of MRT stations. Brand exposure at platform waiting area with average waiting time of 3-5 minutes.